Nazareth House Apostolate apologizes for the silence on the blog these past weeks. Our staff, workers, and supporters have been anything but silent. 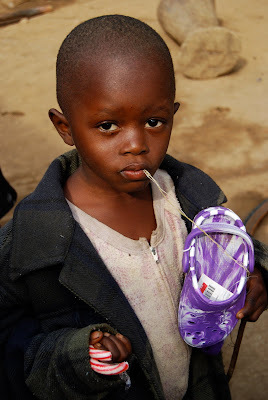 They have been actively working hard to see that 2010 brings as much compassion and love to the people of Sierra Leone as NHA showered on them in 2009. We thank you for your continued support. Invite your friends to be a part of this meaningful apostolate. 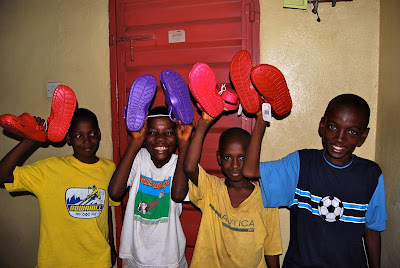 Together we are changing many lives for the better. 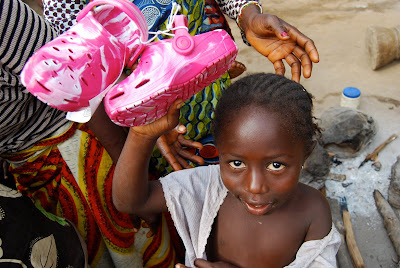 At year end, we found ourselves delivering shoes and we are still handing them out, every time we see a pair of bare feet. Having a few candy canes left to give away, James and the family handed them out. 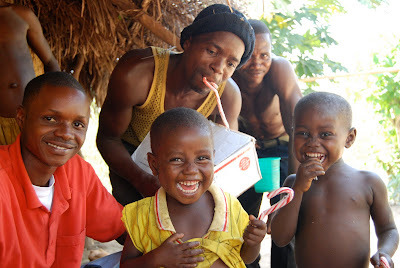 We were delighted that this year the candy canes arrived in Freetown in time for Christmas delivery. Nazareth House welcomes its newest and tiniest supporter, Leila. My granddaughter was born one month premature due to her mother's preeclampsia. She and mommy are healthy and doing fine. We thank all of you for your prayers before, during and after the birth.